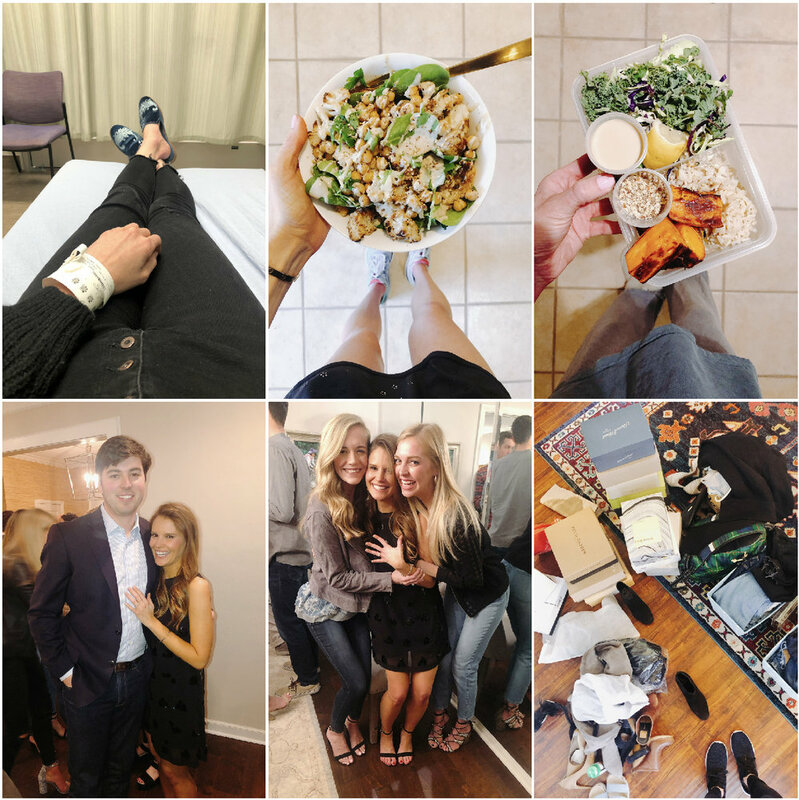 A pretty easy and fun week last week that led up to another weekend in Dallas. Started the weekend with #NationalMargaritaDay and a copious amount of tortilla chips (I have zero restraint). A beautiful day Saturday catching up with friends getting to meet our Lo’s baby girl. It’s wild being the age where your friends start having babies, but it’s incredibly fun too! Finished the weekend with the Oscars which in my opinion was one of the best in years. Having seen zero nominated movies, the show was entertaining and the pink moment was everything! -My friends and I have officially started a book club and I can’t wait for our first meeting. We’ve been talking about it for forever, but finally committed to getting together monthly to discuss our chosen book. First up, the book of the moment, Educated. Anyone else in a book club? -The makings of my one of my favorite Defined Dish meals! -Fun morning with work getting to prep, cook and serve at the Oklahoma City Homeless Alliance! -Samoa Popcorn. It’s a thing. Figure out how, here. -No story behind this picture except that his corner of my room was just looking cozy and cute. -When you work in hospitality marketing and national food holidays lead you to taking vibey drink pictures and mentioning margaritas about 100 times in one day. -It’s a crazy thing I tell you when your friends start having babies, but loved getting to meet sweet little Grace this weekend. -A baby weekend kind of weekend apparently. Stole my little bestie for some on one aunt Annie and Elle time on Sunday. -And the Oscar goes to… Samoa Popcorn of course! Oscar bite: Pink for the win at the Oscars! My favorites were Gemma Chan and Julia Roberts!